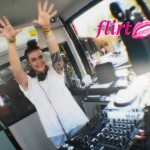 On Saturday 22nd February Flirt & Planet Earth joined forces for one day to bring you the best pool party of the year, with the sun shining and the beers & champagne on ice this was sure to be a day to remember, and it was!!! By the mid afternoon all the sun loungers were full and everybody was ready to party. 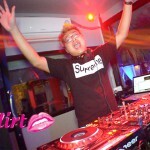 The amazing music was provided by the best in town in the form DJ Marky (The Pier), DJ Meen (Lucifer), DJ MissTake. The stunning dancing girls were strutting their stuff and entertaining all in their very scantily clad bikini’s. It wasn’t long before the tunes were pumping and everyone was on their feet. As dusk approached the smoke machine and the lights kicked into action to give that real Ibiza feel that Planet Earth is wanting to bring to the Pattaya scene. 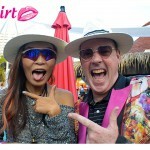 www.flirt-pattaya.com would like to thank all staff and management at Planet Earth, excellent service was provided to all that attended. This Venue gets 10/10 from Flirt and we would recommend you come on down and check it out. Watch this space for the video review which we will bring to you next week.